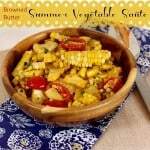 A simple way to add incredible flavor to this basic vegetable side dish recipe without a lot of fuss. 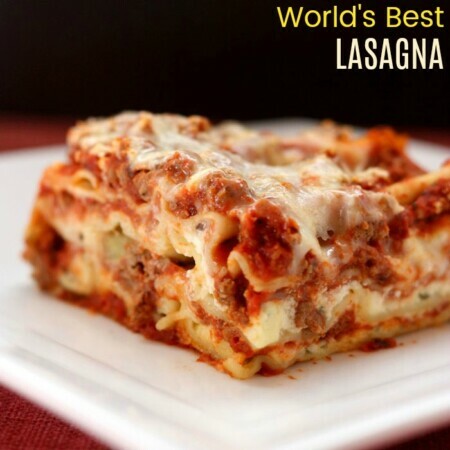 Quick, easy, healthy, and flavorful! 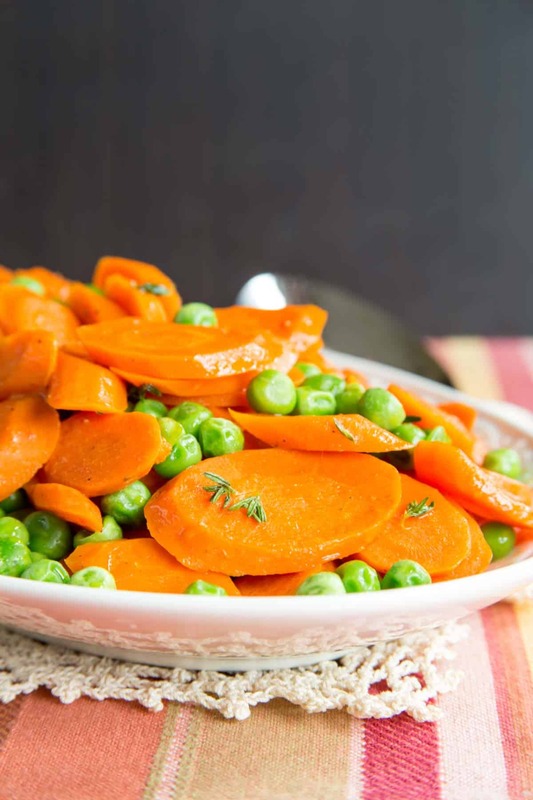 Peas and carrots are tossed in brown butter for a simple recipe with deep, rich, nutty flavor. 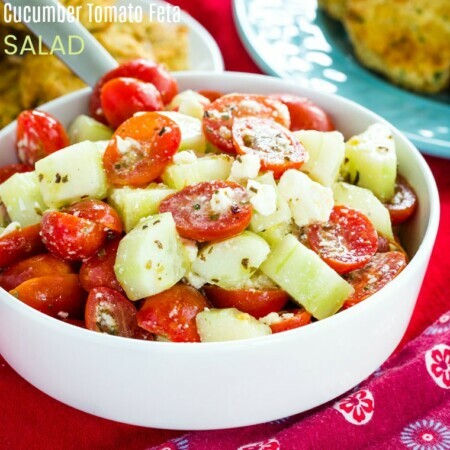 It is a simple way to make an easy vegetable side dish extra incredible recipe. Plus, it happens to also be gluten free. Without a lot of time, fuss, or ingredients, and in just minutes, you can be enjoying Brown Butter Peas and Carrots. My sister is ten years younger than me. My brothers are even younger than that, and I never lived with them. So while I love my siblings, I still feel as though I grew up as an only child. I never had that close connection to a brother or sister, where you play all day and share secrets, and a bunch of other things that I suppose close siblings do. When we got ready to have a second child, and especially when I found out it was a boy, I had daydreams about my little guys being best buds. Building forts and playing all day in their bedroom together, building Lego fortresses, joking around, laughing, and all of that good stuff. I think we are almost on the verge of that. Obviously, a newborn is not a good playmate for a three-year-old big brother, and a baby brother who can barely walk is not much fun for a preschooler who wants to run around and play. For a while, the little one doesn’t understand when the big one tries to set up his Star Wars figures, and the big one barely understands a word the little one says. But now, finally, they actually make those forts and build those towers of blocks. They line up the Matchbox cars and put towers together. They’ll watch the same shows and movies. Even the wrestling and roughhousing doesn’t always end in tears because they are a bit more evenly matched. My little guy is a tough cookie. Brown Butter Peas and Carrots is a super simple way to add a ton of flavor to plain old, same old veggies. 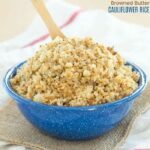 I know, you’re thinking, “Of course butter adds flavor, along with calories and fat and blah blah blah…” Let me tell you when you brown the butter, you only need a li’l tablespoon for the whole recipe to add a seriously nutty and fragrant flavor punch. That makes this recipe not only delicious, but also healthy, gluten free, and paleo (if you use ghee). And the kids will gobble down those golden coins and green drops. Winning! The only tricky thing about this recipe is browning the butter. You need to be careful not to burn it. How do you not burn butter? Heat a pan over medium-low heat. Add the butter, let it melt and start to foam. Now just go slow and watch it carefully, keeping the heat low and not rushing the process. Stir frequently until the butter becomes golden in color and some brown bits start to collect at the bottom. 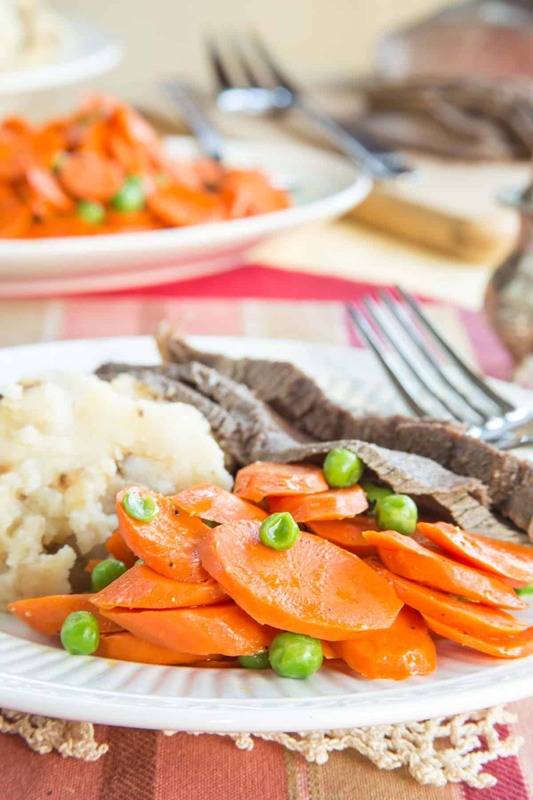 In this case, it’s fine to not get it completely browned before adding the carrots and peas, because it’ll continue to develop its flavors and aroma after you toss in the veggies. 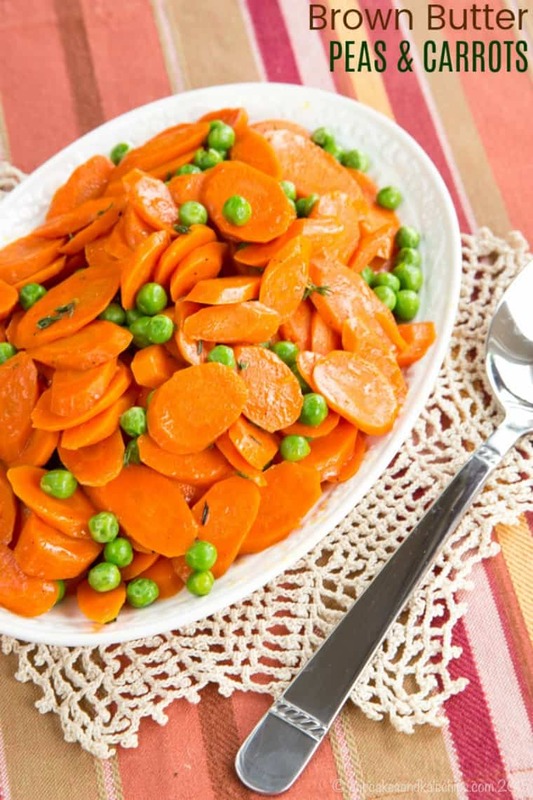 What do you serve these buttered peas and carrots with? 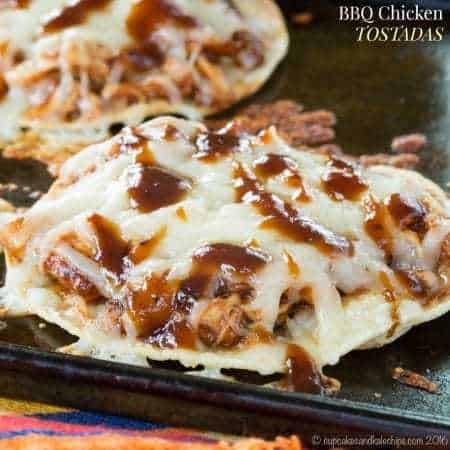 This recipe is so super quick you can easily serve it with a weeknight meal of Worcestershire Sauce Cube Steak. Pair these buttery veggies with a Lemon Herb Slow Cooker Roast Chicken for Sunday dinner. And of course, the rich flavor from the browned butter makes this perfect for a holiday meal, perhaps alongside a Cranberry Crusted Prime Rib Roast. You’ll also love it with a Easter ham as one of your gluten free Easter recipes. What else can you make with brown butter? What vegetable peeler do I use? 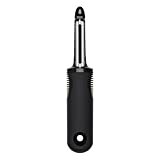 I’ve been using this one same OXO Good Grips Swivel Peeler for years. It’s sturdy so it holds up to lots of wear and tear. But the rubberized grip makes it soft and easy to hold onto. 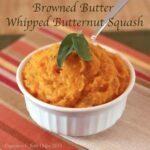 Just a bit of deliciously nutty browned butter adds a huge punch of flavor to this easy side dish. These aren’t your basic peas and carrots, but they still are super simple. 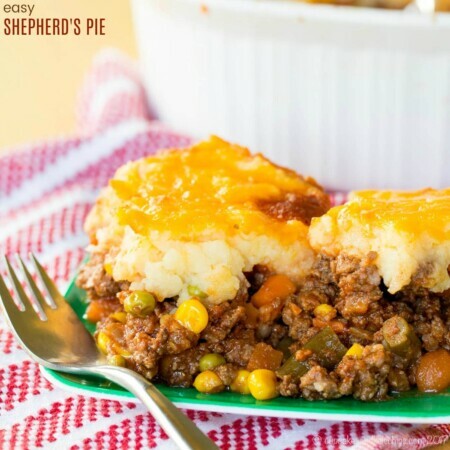 Only a few ingredients and just a few minutes of prep time and you have a veggie dish that easily goes from weeknight dinner to a holiday meal. 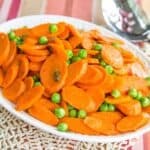 Place carrots in a steamer rack over simmering water and steam until crisp-tender, as you prefer. While the carrots are steaming, heat a pan over medium-low heat. Add the butter, let it melt and start to foam. Stir frequently until the butter becomes golden in color and some brown bits start to collect at the bottom. Be careful not to burn the butter. Add the carrots and peas to the butter, stir to coat the peas and carrots, and cook until peas are hot and carrots have developed a nice golden color. Stir in the thyme and season to taste with salt and pepper. my frozen peas kind of became hard? Oh no, I’m sorry. Did you use the “normal” sized peas or the petite peas? Neither take very long to cook, but the petite peas cook especially fast. You could always toss them in after you’ve sauteed the carrots for a couple minutes so that the peas just barely have time to heat through. 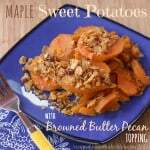 This looks like a side dish that I think will be great for an addition to Thanksgiving dinner! Ooo, I think you’re right!